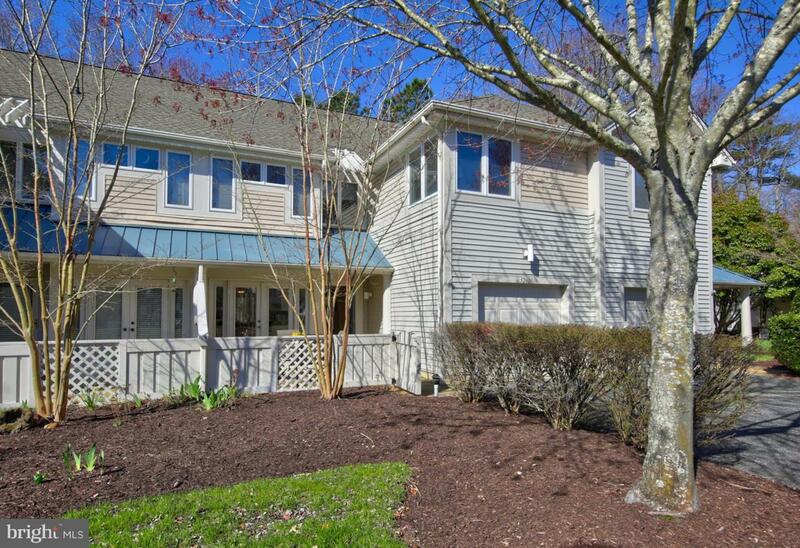 Within steps to a State of the Art 17,000sf fitness center and private cul de sac with no thru traffic, this Carriage Townhome also includes immediate rental income. A special feature is the 3 season tiled sunroom with glass sliding windows that overlooks a private back yard. An eat-in kitchen with French doors opens to your front patio ~ another relaxing area. The living room is spacious and airy with a corner gas fireplace and wall of windows with abundant natural light. 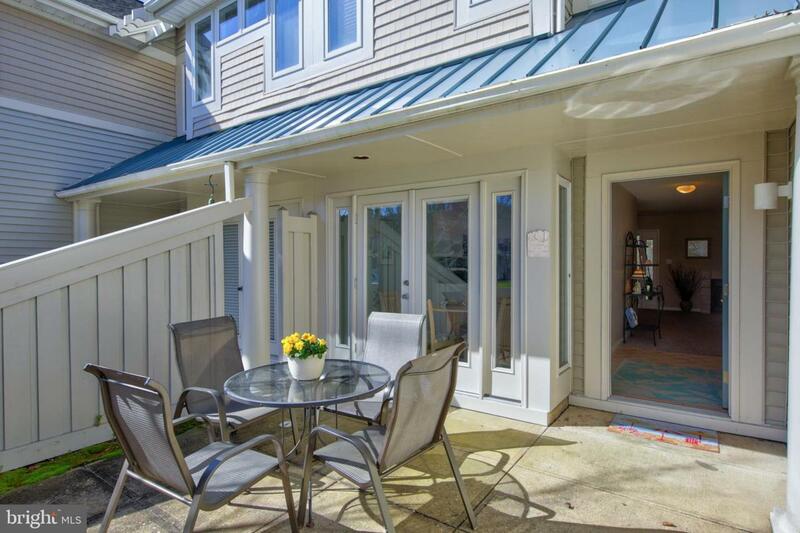 The dining area flows thru French doors onto the 3-season sunroom creating ample space for your family and guests. A convenient powder room is on the 1st floor. Re-carpeted with a durable, high-grade, stain resistant carpet the 2nd floor offers comfortable sleeping for 10 plus a trundle in the loft/sitting area, maxing to 12. A full size washer and dryer is on the 2nd floor. 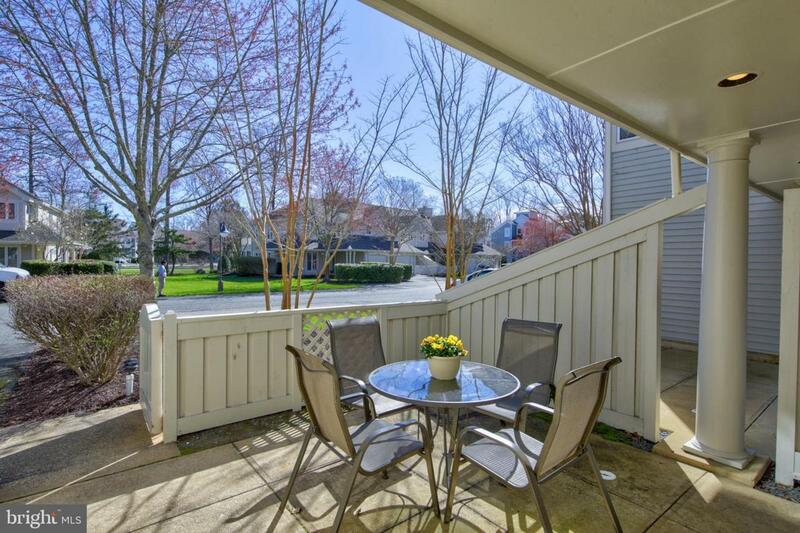 In addition to the ensuite Master Bedroom with both whirlpool and shower, there~s a lovely deck overlooking the private landscaping. The front bedroom has double bunks ~ fun for the youngsters and the 2nd guest bedroom also can sleep 4. 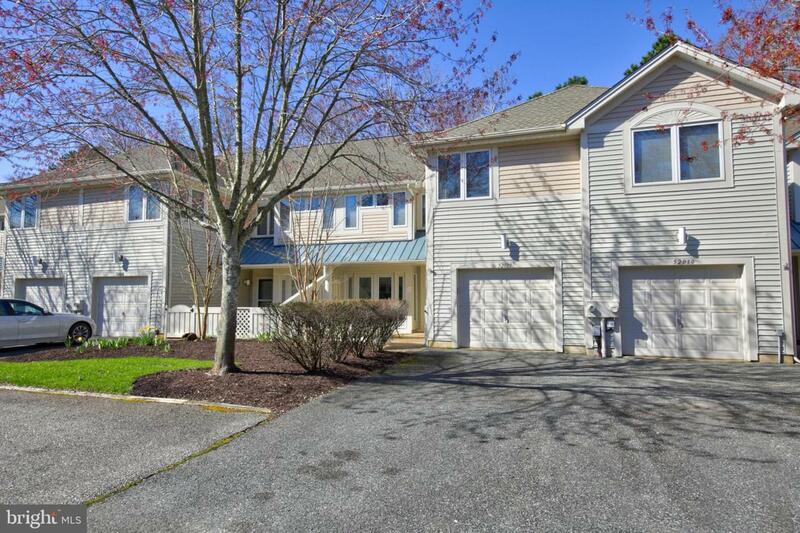 This is a unique opportunity to own a townhome in Sea Colony and use immediate income. The outdoor heated lap pool at Pinelake is convenient along w/several playgrounds and a lakefront fishing dock. Sea Colony offers a private half mile lifeguarded beach and walking promenade with more outdoor pools and an indoor heated pool. Tennis lovers will be in heaven with the USTA award winning program, 34 courts (6 indoor) and pros, clinics, and Nike camps!